If you’re concerned about the condition of the roof on your home, a professional roof inspection is essential. Roof inspections give homeowners details about their current roofing system and what damage may exist, such as missing shingles, broken tiles, loose nails, accumulated debris, leaks, and more. 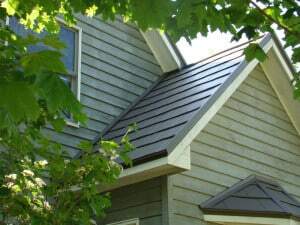 For top-quality roof inspection services, turn to the experts at American Metal Roofs. We understand the importance of careful and thorough roof inspection services. This is why, during our initial consultations, we provide attic and roof inspections to inform homeowners of any problems that currently exist. With the attic inspection, we’ll be able to give you a full report of your attic’s moisture levels, mold potential, insulation levels, and more. The roof inspection will allow us to identify any problems with your current roofing system, as well as measure it accurately, so we can provide you with the best possible roofing estimate.